Robert Bell, Creative Director COI. Nicola Baker, Publicity & Publications Manager, Department for Constitutional Affairs. A mix of greyscale and full colour images are used to represent the journey from trainee to qualified professional. 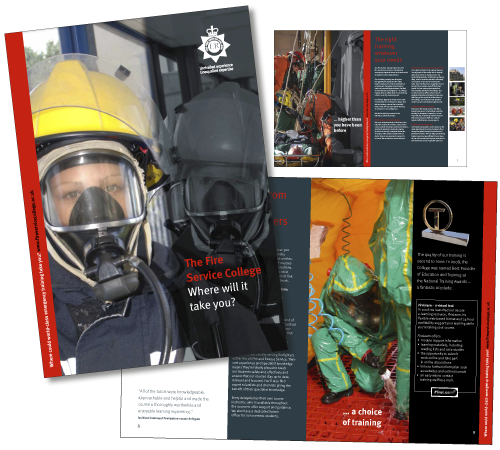 The Brochure shows the full extent and variety of the training facility.